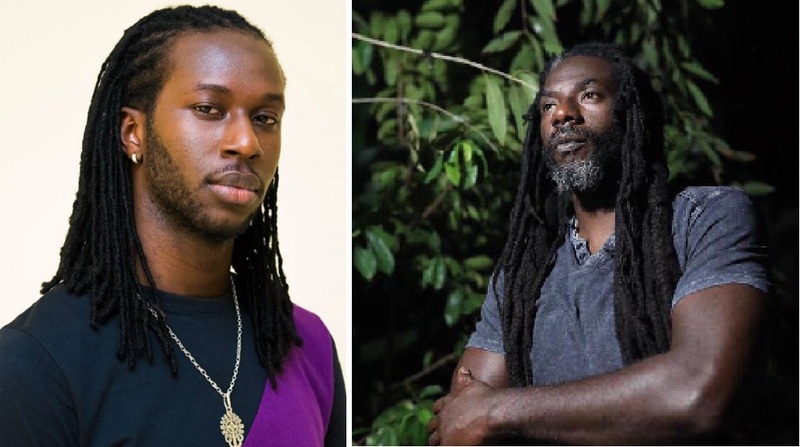 Buju Banton Son Markus calls him a “Coke Head” and Filed Assault Report against him Buju Banton issued a new message for his fans amidst drama with his son Markus Myrie. Buju Banton will be performing live tonight at the National Stadium in Kingston in what is shaping up to be a reggae/dancehall show for the ages. The Grammy-winning singer will be kicking off his “Long Walk To Freedom Tour” in Jamaica, and thousands of his fans have traveled from overseas to see him in action for the first time in a decade. Despite the high expectations for the show, Buju Banton, born Mark Myrie, is currently dealing with some family drama. 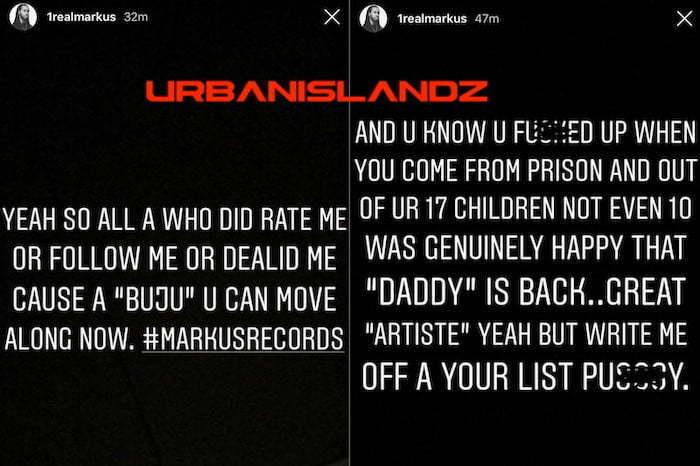 On Thursday night, his son Markus Myrie, who is a music producer, posted some damning messages on Instagram accusing the singer of being “gay” and a “coke head” among other things. Yesterday we learned that Markus also filed a police report at the Constant Spring Police Station where he told cops that his famous father assaulted him. In a video message released hours before the show, Buju Banton urged fans not to pay attention to the distraction. “Are you ready? Welcome to Jamaica, welcome to Long Walk To Freedom, it’s been a long while we haven’t seen each other musical let’s make it happen,” Buju said while also promoting his T-Shirts. “Pay no attention to all the distractions because am not, see you soon,” he added. The Gargamel appears to be in a somber mood when he recorded the video. The Constant Spring Police are currently investigating the report filed by his son. Whatever is going on behind the scene between Buju Banton and his son Markus Myrie, who is a dancehall producer, let’s hope that they work it out because this is embarrassing. In a series of posts on his Instagram Story, Markus blasts his dad while asking President Trump to send him back to prison. 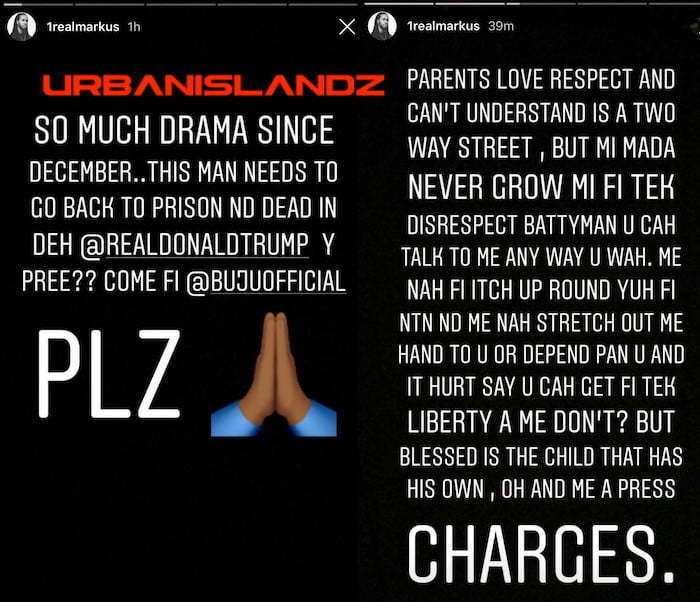 In another post, Markus said that he will be pressing charges which means that he and Buju Banton may have gotten into a physical fight. 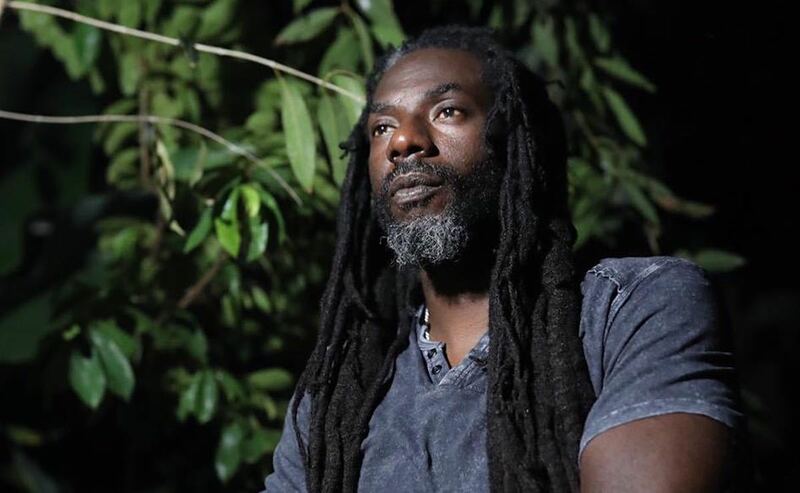 Markus ended his rant saying “f***ing coke head.” Surprisingly, this new development comes just a day before Buju Banton is scheduled to take the stage for his first post-prison concert at the National Stadium in Kingston. The show will mark the beginning of his “Long Walk To Freedom Tour.” There is also a welcome home show set for Mas Camp on Friday.